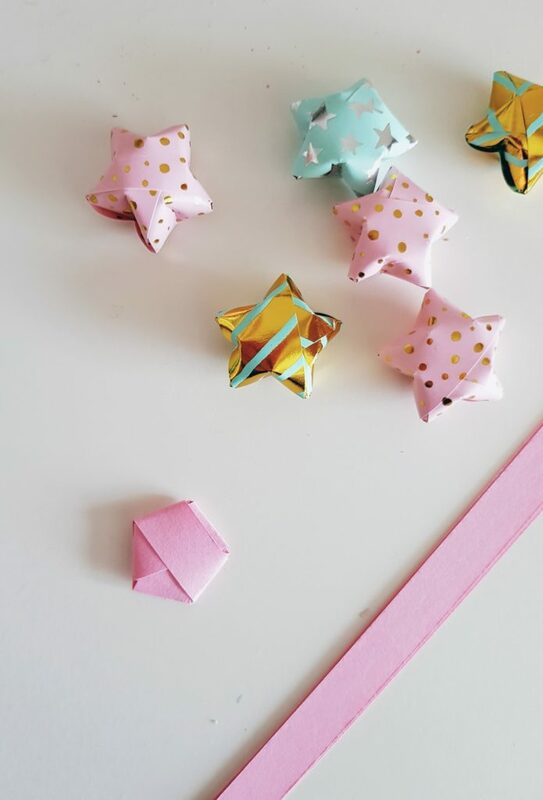 These little puffy origami stars are very easy to make and can be easily done while you watching tv on the sofa. 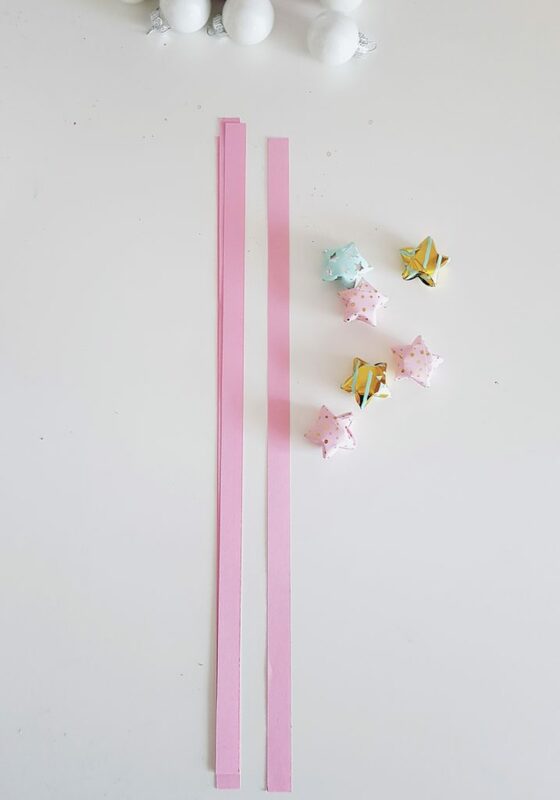 I was drinking coffee and watching tv in while making the stars and before i knew it all my paper strips where folded into tiny stars. 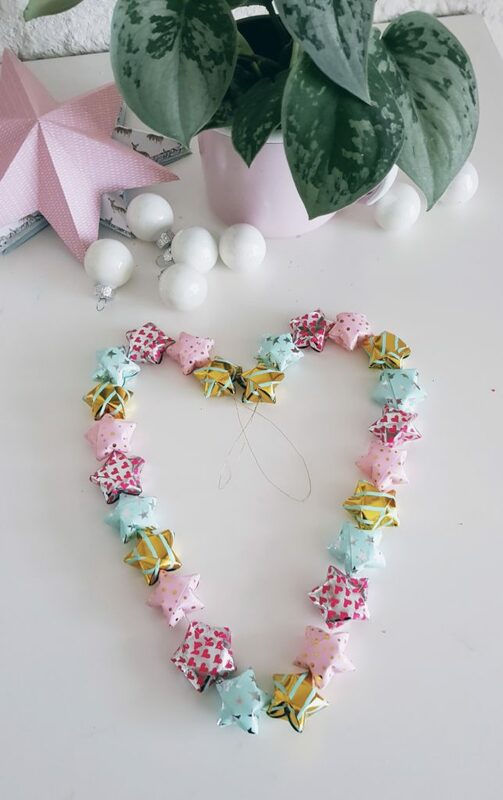 I made a garland with my stars, but you can also make a mobile or throw them into a glass bowl or vase for a nice centerpiece on your table. 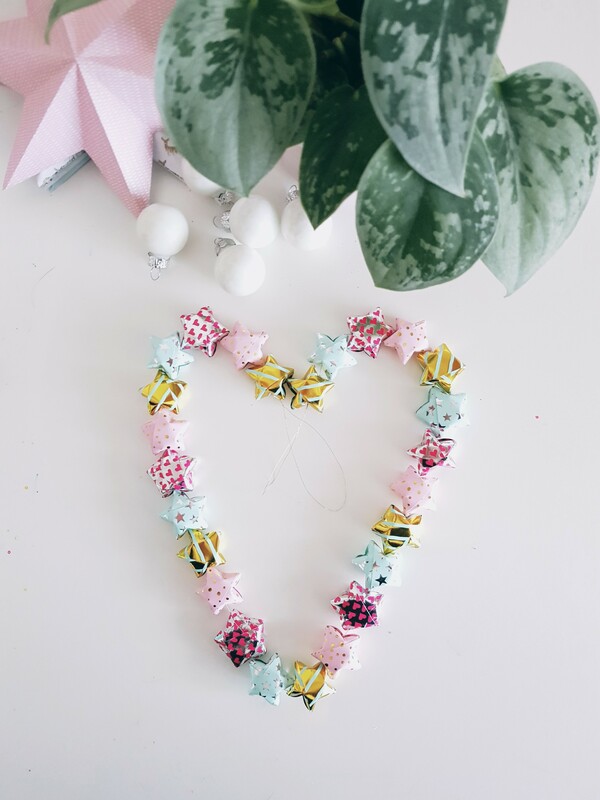 If you don’t have strips of paper you can make them from 20 cm long paper and cut that into strips that are 1 cm wide. 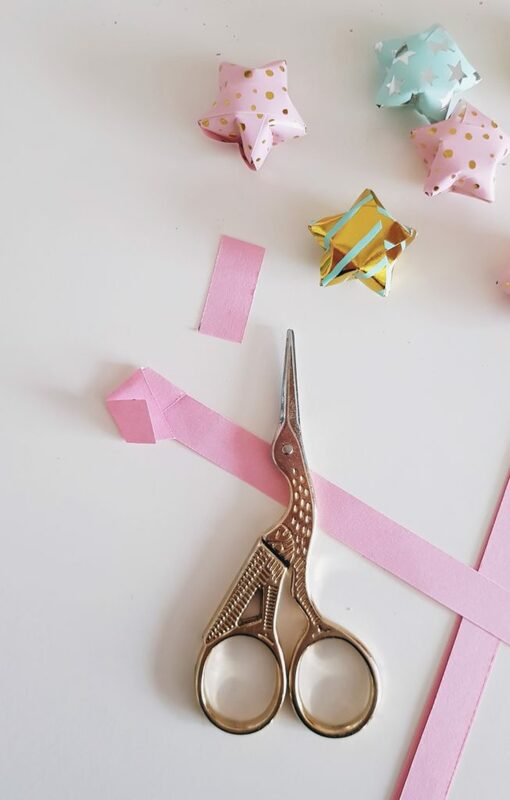 Make a bow and stick the end through the bow and softly tighten it. 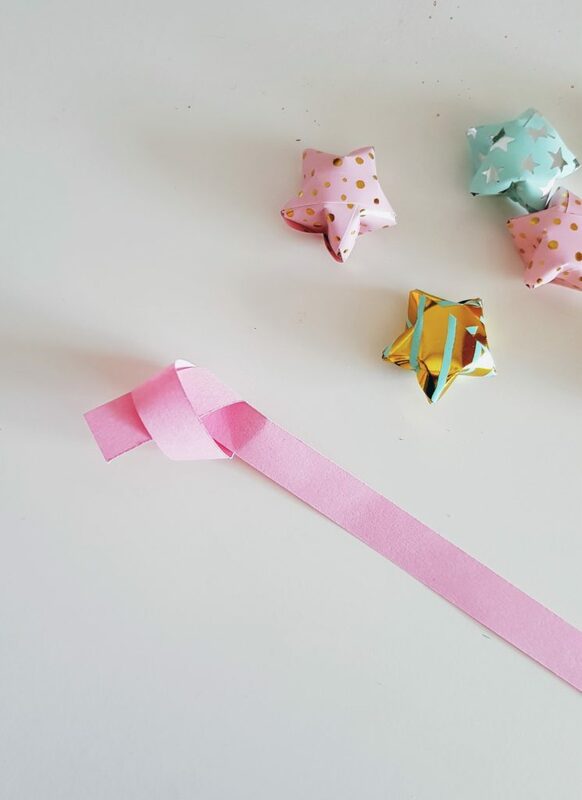 Cut away the end so it fits inside the star. 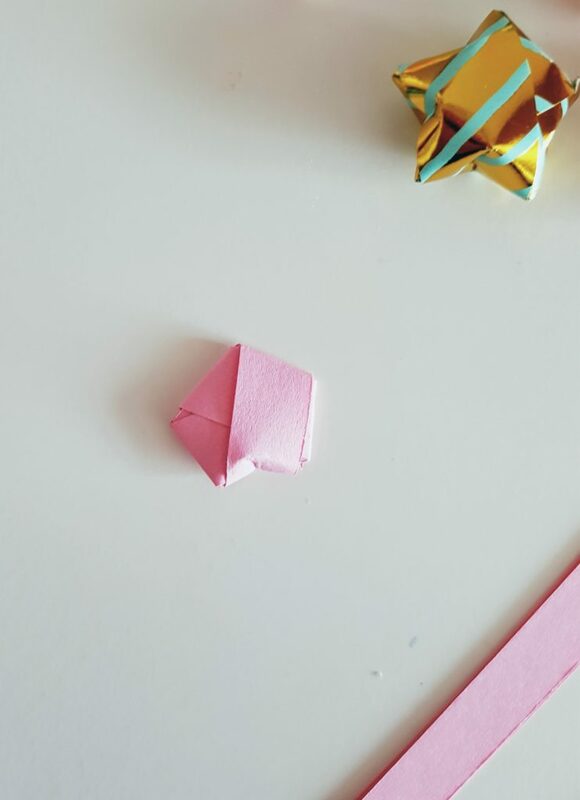 Then you start to wrap the other end around your little pentagon till you have a little piece left, you can stick the little piece into the folds. Now you have a flat pentagon. 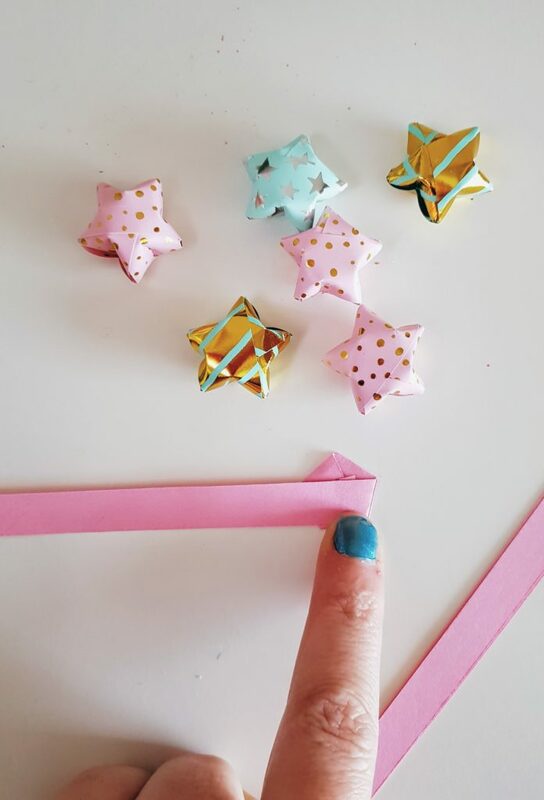 To make this into a star you need to push the sides in with your nail. 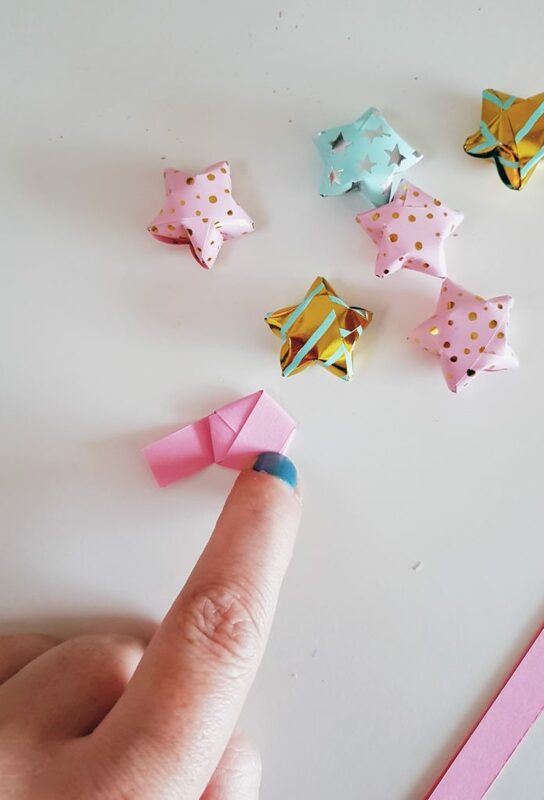 For me my thumbnail did the job perfectly 😉 After you’ve done all the sides you have a puffy little star. 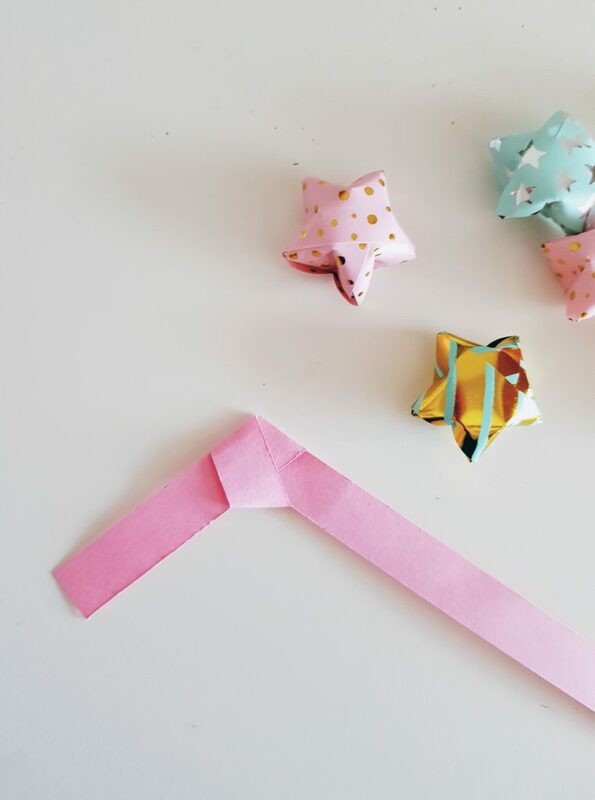 The stars with the nice pattern are made with paper strips I bought at Flying Tiger. 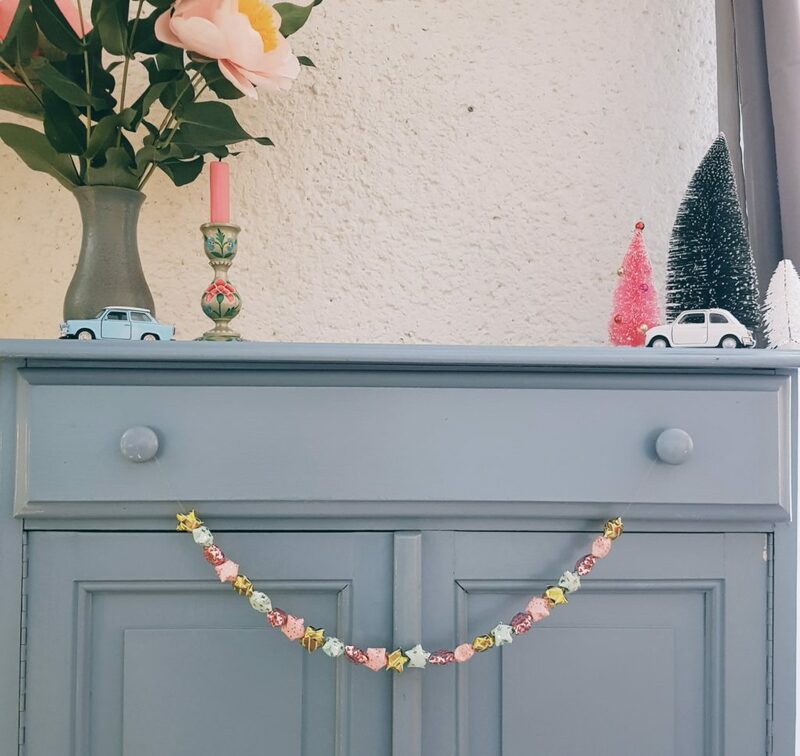 To make a garland I used a needle and thread. 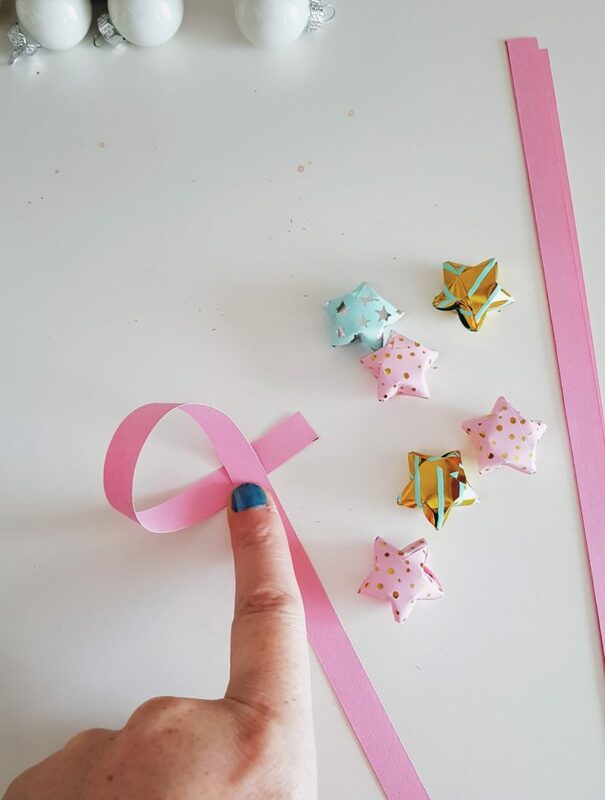 Stick the needle through a side and the needle will come out at a point of the star. 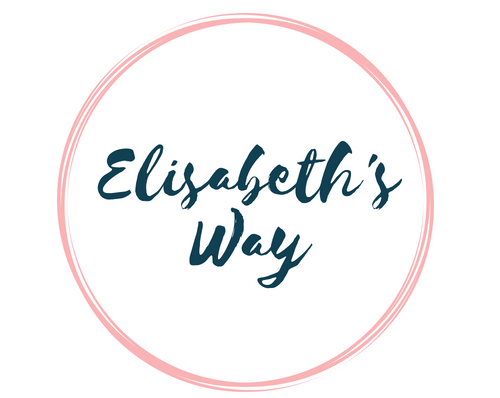 This goes very easy and doing it this way you dont push a side back. 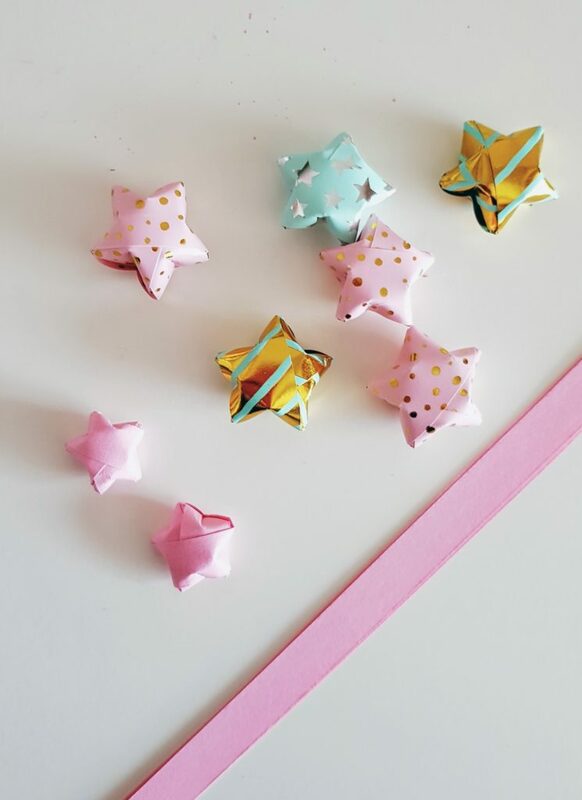 Have fun making these cute little stars.